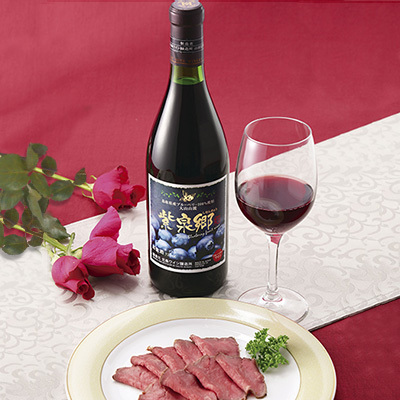 We hope you'll enjoy the lovely, translucent reddish-purple color and the fruity aroma. This is an elegant, medium-bodied red wine with refinement, lushness, and fruitiness. We've crafted a wine suited for enjoying with a meal using only fruit harvested from the Fresh Berry Farm (Agri Kotoura) at the foot of Mt. Daisen. 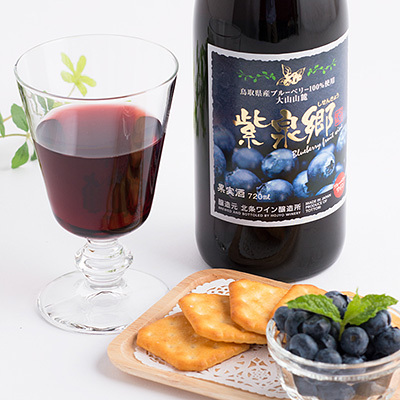 We hope you'll enjoy the lush reddish purple color distinctive of blueberries and the fruity aroma. Best when chilled to 12-16℃. One bottle is made from approximately 1kg of blueberries. 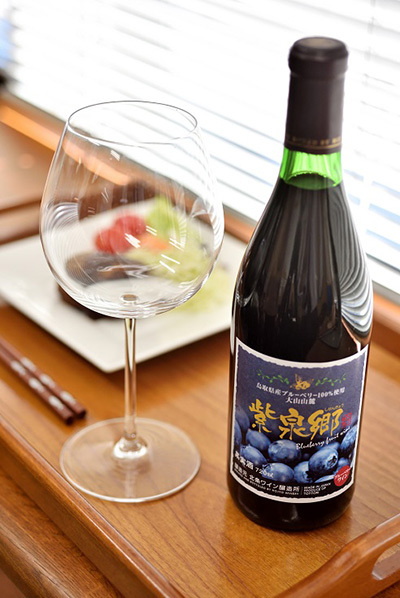 Even shortly after the 2016 Central Tottori earthquake, Hojyo Winery continued to produce our wine. Thanks to their efforts, our revival wine, the first to be produced in ten years, came to be known as the post-quake recovery wine as well.